A sentiment attributed to Vice President Joe Biden is, Show me what’s in your budget, and I’ll tell you what you value. These words resonate with me whenever I consider the yearly budget for the Department of Defense (DoD), Homeland Security, the Department of Energy (which handles nuclear weapons), and the various intelligence agencies (roughly 17; that’s why they form a community). When you add up what we spend on defense, homeland security, “overseas contingency operations” (wars), nuclear weapons, and intelligence and surveillance operations, the sum approaches $750 billion dollars each and every year, consuming more than two-thirds of the federal government’s discretionary spending. Some of the budget of the State Department and for foreign aid supports weapons and training (“foreign military sales”), bringing us to roughly three-quarters of a trillion dollars, each and every year, on the military, intelligence, security, weapons, and wars. How much do we spend at the federal level on education, interior, and transportation? Roughly $95 billion. When a government spends almost eight times as much on its military, security, wars, weapons, and the like as it does on educating its youth, fixing its roads and bridges and related infrastructure, and maintaining its national parks and land, is there any question what that country ultimately values? Show me your budget and I’ll tell you what you value. Sobering words. Sobering — and scary. Oh gee whiz, Bill!! Joe “we’ll track you to the Gates of Hell” Biden–a possible presidential candidate two years from now, The-Inevitability-Of-Hillary or no–might be embarrassed if this sentiment was thrown back in his face. Of course all the candidates will proclaim piously that these expenditures are ESSENTIAL precisely to defend those much vaunted “American values.” I now proclaim that all those “values” plus two-and-a-half bucks will get me a ride on the NYC subway this Sunday when I go to participate in the Climate Change March. And by the way, the administration of which Biden is part is putting on a great display of unified policy right now: the Commander-in-Chief just reiterated there will be “no more boots on the ground in Iraq” to combat The Islamic State, whereas just the other day the Chairman of the Joint Chiefs said as many as 10,000 boots (i.e. 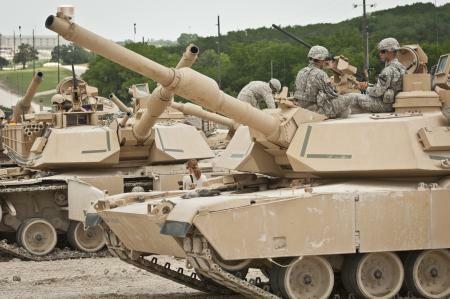 5,000 troops) might be required on the ground to drive allied forces toward the designated enemy. What a dandy scene! And Cheney, Rummy, George Dubya (plus who knows how many others?!?) all found the freedom to avoid being sent to Vietnam in uniform. Thus obtaining the freedom to plot and put in motion more wars of choice. “… one should emphasize the danger of leaving the political decision in the hands of those who do not engage in military battles for any reason.” http://www.islamforbids.com/webpages/the-management-of-savagery-.pdf — A perspective from an ‘adversary’.